After the unveiling of the Royal Enfield Classic 500 Pegasus Edition recently, the company has confirmed that the limited-run motorcycle will launch in India on May 30. 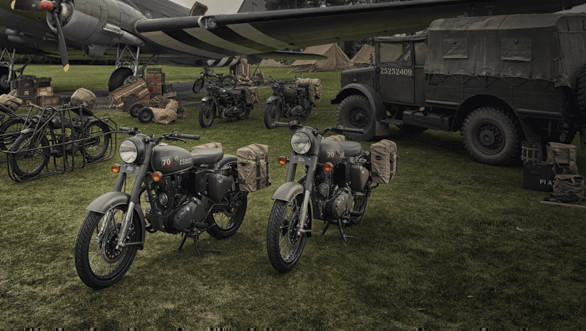 This motorcycle commemorates Royal Enfield's track record of providing functional vehicles for use by armed forces ever since the First World War. Only 1000 units will be produced with 250 being designated for the Indian market. This bike has been influenced by the Royal Enfield RE/WD 125 from WWII. This was a lightweight 125cc two-stroke motorcycle nicknamed the 'Flying Flea. It was deployed behind enemy lines via parachutes and onboard the Horsa Glider to provide communications support along with acting as a quick mobility platform for the forward units of the Airborne Pegasus Over 4,000 were deployed across various theatres of war, including in Normandy during D-Day. The Pegasus Edition is available in two colour options internationally - Service Brown and Olive Drab Green. Indian buyers can only get the brown colour. 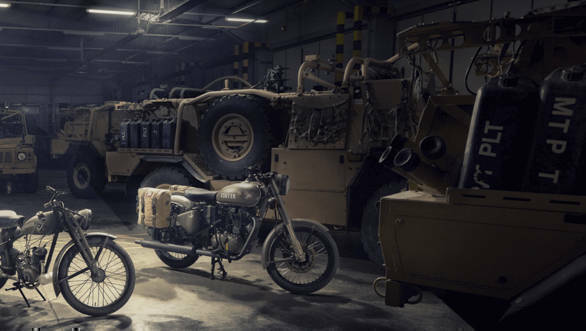 Each motorcycle comes with a unique serial number stencilled on the tank, reminiscent of military motorcycles. 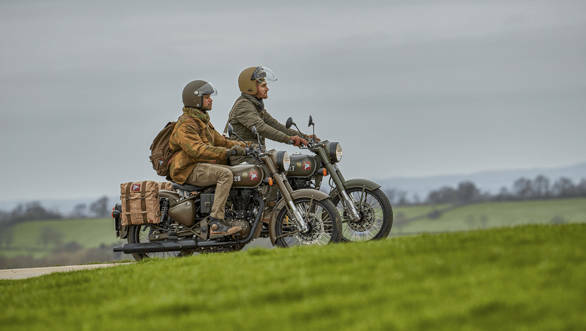 Other unique touches are a bespoke set of military-style canvas panniers, the Pegasus motif on the tank and panniers and period correct RE badging. Each motorcycle has brown handlebar grips, a leather strap with brass buckles across the air filter, blacked out silencers, rims, kickstart lever, pedals and headlight bezel to accentuate the functional, period look. Mechanically the Pegasus edition remains unchanged from the standard Bullet 500. This means the bike is powered by a 499 cc, air-cooled, single-cylinder engine good for 27.5PS and 41.3Nm. The frame, suspension and tyres have been carried over unchanged as well. The Royal Enfield Classic 500 Pegasus Edition has been launched in the UK, where 190 will be sold, for GBP 4,999 (Rs 4.54 lakh excluding taxes and duties). Prices in India are still not known.